His voice was weary, and though we were on the phone and separated by miles, I knew him well enough to see his expression—eyes cast down to the right, staring, disillusioned. As followers of Christ, we know trials and hard seasons are a fact of life. Nevertheless, they take us by surprise. Our trials are consistent with our reality but so inconsistent with our expectations.Click To Tweet And like a child who doesn’t understand, they make us cry Whyyyyyyy? This is the hard reality of our trials and the confusion they cause. If we are truly God’s chosen, the ones He lovingly created and formed, then why is life so hard? It’s true. We are chosen by Him. But often we forget what God’s choosing entails. I have tried and CHOSEN you in the furnace of affliction. God had chosen [the Israelite] nation to be his people when they were suffering in the furnace of affliction in Egypt; and it is also true that God chooses sinners now . . . as the result of heavy affliction. . . their affliction had prepared them . . . to seek consolation in him; . . . and to embrace [His} offers of mercy.
. . . the furnace of affliction – Refer[s] particularly to their trials [as exiles] in Babylon. 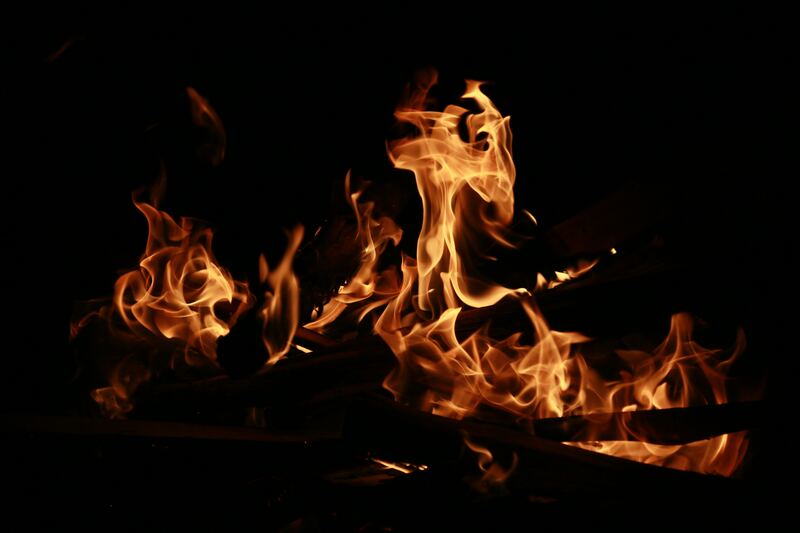 Afflictions are often likened to fire – [because] fire is used to purify or try metals, and afflictions have the same object in reference to the people of God. Throughout the Bible, we see God use hard trials and testing to prove and strengthen the faith of His chosen both as the consequence of their sin and to purify and test their faith. whom having not seen you love. Though now you do not see Him, yet believing, you rejoice with joy inexpressible and full of glory, receiving the end of your faith—the salvation of your souls. 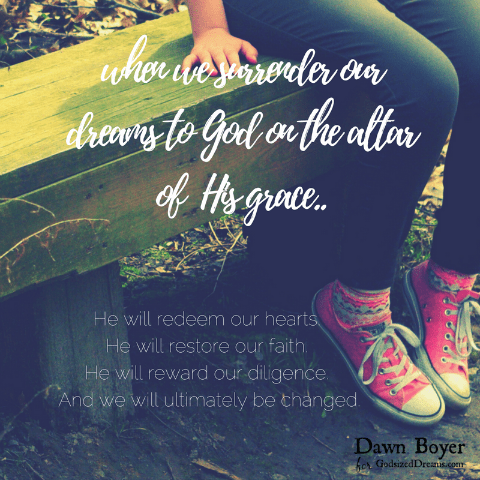 Our trials should cause us to examine our hearts before God for sin and the possibility of His correction, but we also have to remember His higher purpose for our lives. It’s not our comfort! His purpose is to conform us to the image of Christ. 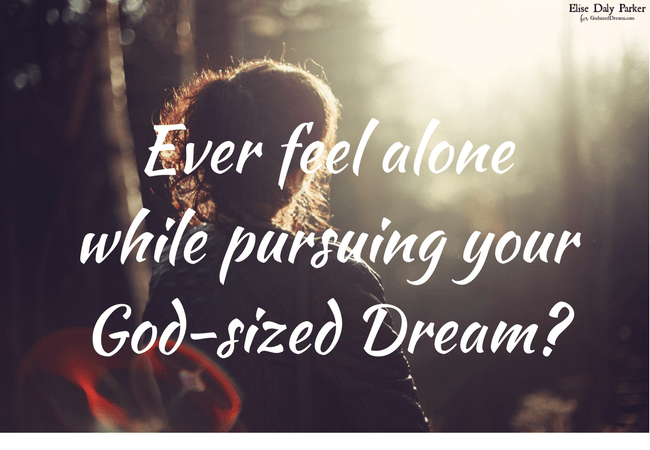 Are you in a difficult season and tempted to give up on your dream? Take heart, Dreamer! God is committed to accomplishing all of His good purposes for your life. Allow Him to work in and through you as He purifies your heart in His holy furnace of affliction. And be certain of this . . . 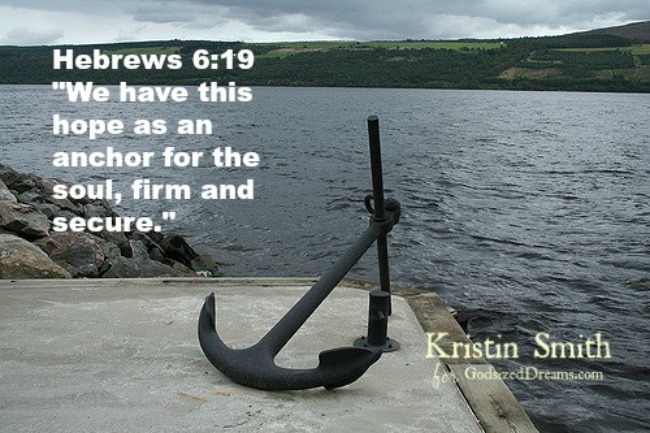 He is the author and perfecter of your faith, and you can trust Him to complete the good work He began in you. Merriam-Webster defines wilderness as a tract or region uncultivated and uninhabited by human beings. Scripture gives us an appreciation for every season of our lives, declaring that there is a time for everything under the heavens. When I reflect on this opening scripture in Ecclesiastes 3, I for one like to think about positive life events. Time for a new job, a new hobby, anything exciting? Hallmark Christmas movies 24/7? YES! Sign me up please and thanks. The wilderness? Not so much. My hand is not raised. I am not ready and can I skip this class, please and thanks. I’m guessing your hand isn’t raised either. But as the passage continues, we are reminded that every season has a purpose, and the harvest and wilderness are two sides of the same coin (Ecclesiastes 3:1-15). When I first said yes to my God-sized Dream of making organic bodycare products, I had no full-time job, which meant no real income to launch anything. I spent time educating myself in ways I could afford, learning about my craft. I dreamed with and asked God for a vision to follow. Every step of the way, He guided me and led me along the right path (Psalm 32:8). As I trusted Him with the process and used what was in my hands, He brought my dream of Mama’s Southern Love to fruition. One year later, He is still writing an amazing story . How do we come to appreciate the uncharted territory, making a path where there is none? Not only for our lives but for our dreams too? Friend, I’ve learned that God does some of his best work in the wilderness. As I reflect on my experiences, here’s what I have learned. Keep following the last instructions from God. When in the wilderness, continue following the last word we got from God. 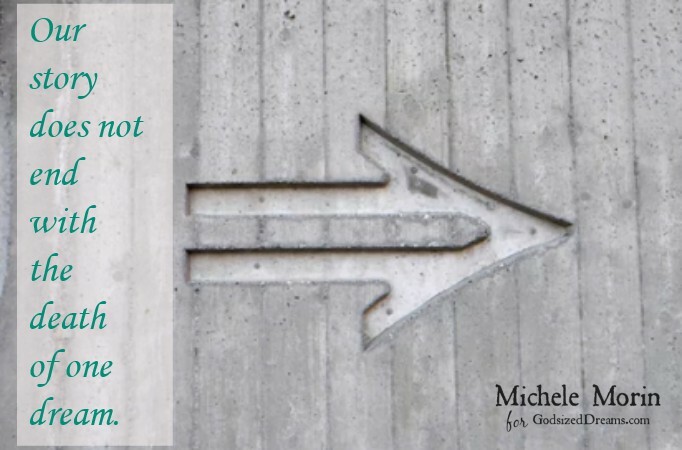 When we don’t know which way to turn, we can never go wrong with reminding ourselves of what God has already spoken to us. The good news is that we have the Word when we need a reminder and a guiding light. Study the characters of the Bible and ask God for Biblical leadership skills. Be a good steward of the current moment and resources. There have been months where I felt my dreams were stagnant and made no progress. I also experienced times where I had so many ideas without the resources to implement them, which can be equally frustrating. Regardless of which season our dreams are in, God will always provide the manna. Assess what “daily bread” He has given you, and put it to work. Do you have ideas? Write them down, and pray for them. Speak life over your dreams through affirmations and praying the scriptures. Educate yourself and become an expert in your dream field. Engage what’s in front of you in the wilderness until it’s time for the next season. Trust God in the process of the unknown. When the heat is turned up and challenges in the wilderness are difficult, turn to the Almighty, who is sovereign over all. Know that He has a plan and can see the full picture, whereas we only have a limited view. He will not steer you wrong. 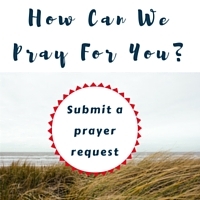 In addition to leaning on the Lord, turn to your community for encouragement and support. Another Merriam-Webster definition of wilderness is “an area essentially undisturbed by human activity together with its naturally developed life community; an empty or pathless area or region. Places void of human activity are divine opportunities for a touch from the God. While an area undisturbed may seem frightening at first, I have learned that God fills empty things and He makes them beautiful. When your season of dream wilderness has ended, you’ll be able to look back and see how God has indeed made everything beautiful in its time. I’ve declared today, “Give a little love day.” Why? You ask. No particular reason. Lately, it feels like the world is overwhelming. I have friends in health, marriage, you name it they’re in it crisis. 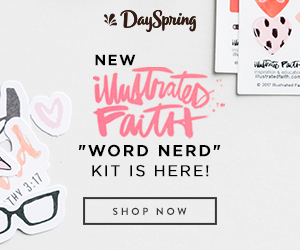 So, instead of writing the most encouraging and enlightening blog post of your life on following your God-sized Dreams, I’m doing a giveaway! Check out these beautiful hand-made necklaces and clutch. They’re from the craftsmen(women) at Fair Trade Friday. Leave me a comment below on how you are encouraging a fellow dreamer in your life and I’ll choose one winner. It was finally our turn to breathe. The lists had been made, the bags were in the trunk of the car, the bed & breakfast was booked, the sitter was at the house with our kids. We kicked off our four days away together with an anniversary breakfast out at one of our favorite local spots, and the coffee had barely been poured before we started talking about life. But how good it was. How challenging the days were. But, mostly, how blessed we were to be living it all. Before our food had even arrived, our conversation took a detour toward all the things that had been put on the back burner since our baby boy arrived a year before. And I sort of changed the subject because I knew there hadn’t been many words written. I told him how much I wanted the words to come, but they just weren’t there. He encouraged me to keep writing things down in hopes that maybe someday the blog would revive itself a bit. And then I mentioned Indonesia. Though we’ve been back in the States for seven years, it seems like our conversations still often end up here. It’s also no secret to him how much of a place those people still hold in my heart. He knows the ache I experience some days. And he’s seen the tears that fall, too. But we know it’s not meant to be right now…that God has placed us where we are for a purpose. And we love it here, too. But there was something in that conversation…as we reminisced and talked about all the changes since…that gave me freedom, and so I kept talking. Kept sharing my heart. I told him the secret dream that’s lied buried because I was too afraid to say it aloud. About how I wanted to open a coffee shop. A fair trade one that supports Indonesian farmers. Even as I spoke the words, it felt so big. The kind of big for a dream that made it feel almost unfair to speak because it seemed so far off. So impossible. And, also, I thought he’d laugh. He smiled. And then he said words that breathed life into my dreams more than he will ever know. Do it. I think it’s a great thing to shoot for. Do some research and figure out what comes next. That part of the conversation was quickly followed by my daily reality…the fact that life right now is giving what I have to my husband, seven-year-old daughter, and becoming-a-toddler boy. There’s not enough left over to do much dream chasing. I could tell you more, too. About how, within the next week, God set up two very specific appointments for me, both involving fair trade and coffee. We had a great getaway together, and we hit the ground running once we returned home. Honestly, other than some prayers, I haven’t chased my coffee shop dream down much more. But I have thought a lot about that morning…and the one thing that’s stuck with me since I poured my heart out and dared to speak that dream to my husband. Sometimes it’s scary to say our dreams aloud. 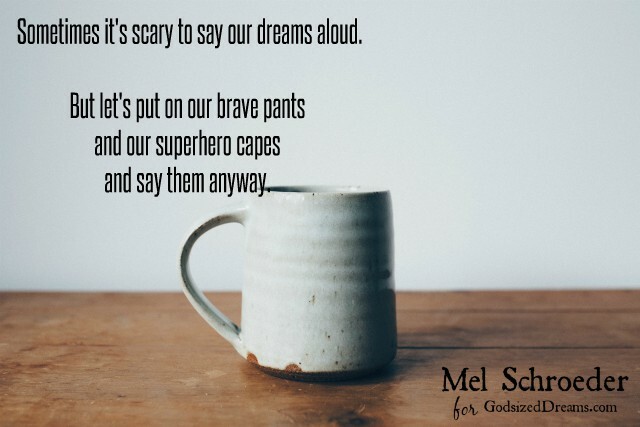 But let’s put on our brave pants and our superhero capes and say them anyway. Because maybe God has something big on the horizon. I mean, His faithfulness is great, He’s a good Father…and I know I can trust Him with my dreams, both the ones that feel safe and the ones that seem scary. And I kind of can’t wait to see what happens with this one. Call me weird, but I love helping people write their resume. It reminds me of those fun matching worksheets we’d fill out in school. Maybe you remember them too? One column might list dates. The other would outline events. We would draw a line between those that matched. Similarly, good resumes tend to align with correlating job descriptions. A posting for an organized and communicative coordinator is best met with a resume that highlights successful experiences organizing and communicating. When applying to work at a college, it’s smart for a resume to mention previous work experiences in an academic setting. What happens when our resumes don’t match our assignments? Motherless career women are thrust into parenthood. Men who have worked for decades managing a technology are forced to find a new job field when new tech takes over. Stay-at-homes moms become single and need employment. Students who worked hard for their degree can’t find a related job. People with worthy, noble, God-sized dreams see no possibilities. Sometimes, we look at our lives and ourselves and don’t see any matching qualifications for the task at hand. But we’re not the first folks to have that issue. Few (if any!) Bible heroes’ lives “matched up” with what God called them to do. When dreaming seems slow, we’re often tempted to start scheming. God is less about matching and more about making. Joseph’s experiences didn’t clearly align with his future job description, but God used them to prepare Him practically and to make Himself known. Ruth’s life in no way pre-disposed her as a clear fit for her future assignment, but God used her experiences to draw her to Himself and to make Himself known. Paul’s work history would appear a hindrance to his future endeavors, but God used the drastic change to equip Paul for a life of seeing others changed and God used Paul to make Himself known. We, like these people God so loved and set as examples for us, don’t have to scheme as we dream. We don’t have to create paths to beef up our resumes. 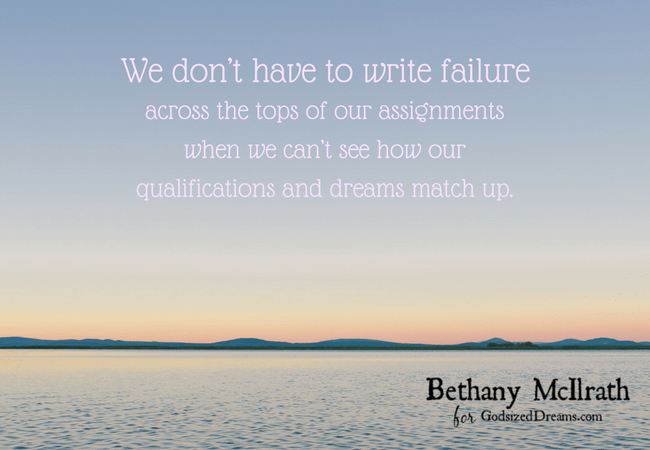 We also don’t have to write failure across the tops of our assignments when we can’t see how our qualifications and our dreams match up. That’s the dream, and it is this moment coming true.